Well it’s been quite an eventful E3, with Microsoft and Sony slugging it out with their two new consoles, and Nintendo sneaking in a few announcements of their own. It’s been entertaining but I have to say there weren’t any ‘wow’ moments, or games that look like being classics. 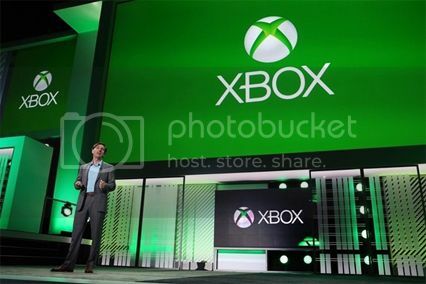 Don Mattrick does his best to make Xbox One sound appealing. Microsoft kicked it off by sticking to the games this time after boring everyone to death with their ‘TV TV TV’ console unveiling. I have to say I was quite impressed by some of the games that they showed off, although there were perhaps a bit too many shooters, and not a lot of innovation on show. Metal Gear Solid V looked pretty impressive, with some stunning graphics, and the open world was reminiscent of Red Dead Redemption. The open world setting should bring a whole different slant to the gameplay, which is a good thing. Out of the exclusives shown, Dead Rising 3 and Titanfall looked the most impressive. Dead Rising 3 looks like a more serious entry to the series, with a more muted colour palette that is reminiscent to The Walking Dead, although the over the top A-Team style weapon crafting is still intact. Titanfall looks like a lot of fun with giant mechs duking it out in a fast paced shooter. Whether either of these games remain exclusive to Xbox One is anyone’s guess, although I have a sneaking suspicion that they will find their way to PS4 within a year. The price of £429 for the console is way too much, and I think it will put potential purchasers off, as the PS3 found out to its cost at the start of its lifecycle – and that’s before you think about the complicated anti-consumer DRM issues. 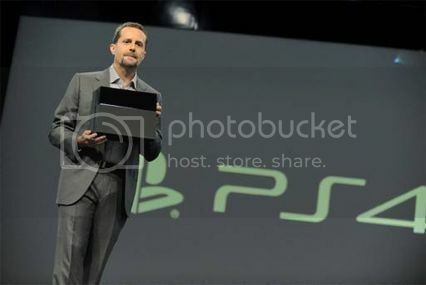 Andrew House unveils the latest Xbox..sorry PS4. Sony were next up, and I thought they blew Microsoft away, even though the selection of exclusive games that were shown weren’t must have titles by any stretch of the imagination. The titles that stood out included The Order 1866, which mixes an alternative history Victorian London with some sort of supernatural monsters. I was also impressed by DriveClub and Killzone: Shadow Fall, which boasted fantastic graphics, and both look like being solid launch titles. The montage of indie games was also very impressive and showed off a vast array of creative talent that Microsoft appear to have shunned. Destiny also looked excellent, like Borderlands crossed with Halo, and I can imagine spending many hours playing co-op with friends in its universe. I was disappointed Naughty Dog were absent, as I’d like to have seen what they were working on, although perhaps they didn’t want to take away from the release of The Last of Us which is just out. I was also disappointed by the no show of The Last Guardian and Agent, which feel like they’ve been in development since the PS3 unveiling! I can’t help but feel that Sony have a lot of cards still to play, which should become apparent later on this year. I have to say that Sony went swinging for Microsoft, and probably dealt them a knockout blow with the revelation about DRM being absent on PS4, and also the much cheaper pricetag of £349 which makes the PS4 an almost irresistible purchase. In amongst the happy cheers they did announce that online multiplayer on PS4 would be behind the PlayStation Plus pay wall but, with the value the service currently brings, it’s worth shelling out for regardless. 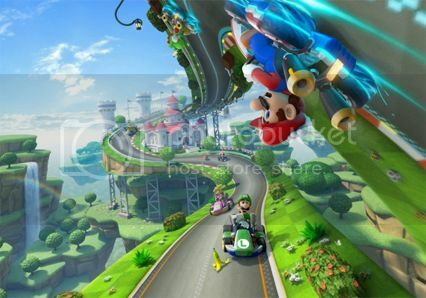 Mario Kart 8 looks like a whole lot of fun! Nintendo made a pretty low key E3 presentation, but I was quite disappointed by what they unveiled. Super Mario 3D World looked good, but it lacked the wow factor of the Galaxy games, and just looked like an expansion to the 3DS Super Mario 3D Land. Mario Kart 8 did look pretty good with gravity defying tracks that wouldn’t look out of place in WipEout. The Wonderful 101 looks typically Platinum Games bonkers, with a madcap crew of super heroes defending a city from alien invaders, and Platinum’s Bayonetta 2 is another title to keep an eye on. I was disappointed to learn that Retro Studios are working on a Donkey Kong game rather than a new IP, which is something Nintendo are crying out for just now. The Division looks absolutely stunning. 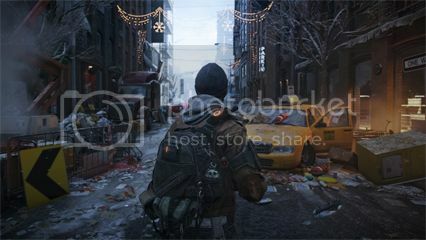 Of the third party developers Ubisoft’s The Division was perhaps the best looking game of the show, with almost photorealistic graphics, and the game is up there with the much admired Watch Dogs as one of my most anticipated upcoming titles. Rayman Legends again looks like a lot of fun, and South Park: The Stick of Truth looks like it could be a very amusing RPG. DICE again blew me away with an outstanding multiplayer showcase of Battlefield 4, which looks like it will ramp up the destruction that the previous game sadly lacked. Having watched the shows, I have now preordered a PS4 as I like the way Sony are going about things, while Microsoft continue to stumble from one disaster to the next. I just can’t see them getting back on their feet after showing a complete disregard for consumers, and it looks like Sony have won the hearts and minds of gamers around the globe.